If you’re driving an MPV you probably aren’t looking to engage in stoplight drag races. Even so, the Vauxhall Meriva provides enough scoot for mum (or dad) to get the kids to school swiftly. 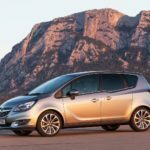 The former 1.7-litre CDTi diesel engine has been replaced by the 1.6 CDTi diesel scooped from the Zafira Tourer. This Euro-6 compliant mill cranks out 136PS and 320Nm of torque at 2,000rpm – more than enough power for a family wagon. If you ever do decide to take the kiddies to the race track, the mini will sprint to 60mph from a standstill in under nine seconds. 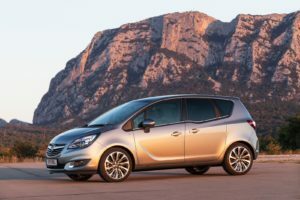 In addition to the new oil burner, the Meriva's carryover petrol engine range (1.4 100PS, 1.4T 120 & 140PS) remains and is now fully Euro-6 compliant.